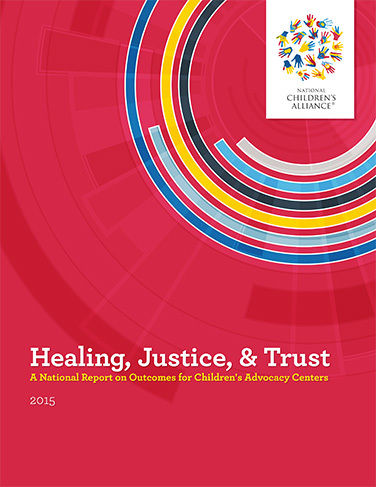 Children’s Advocacy Centers (CACs) provide children and families with healing and justice in a setting they can trust. We know they do because of more than 50,000 survey responses we collect each year from caregivers and partners. 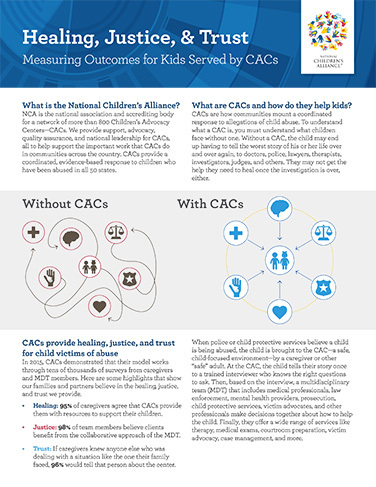 NCA’s Outcome Measurement System (OMS) helps CACs define their successes in serving children and families while helping them benchmark their progress against the work of a nationwide movement. This rich 2015 dataset from 580 CACs demonstrates the value of the work CACs provide to children and families and the success of the CAC model in the eyes of the partners that make it possible.